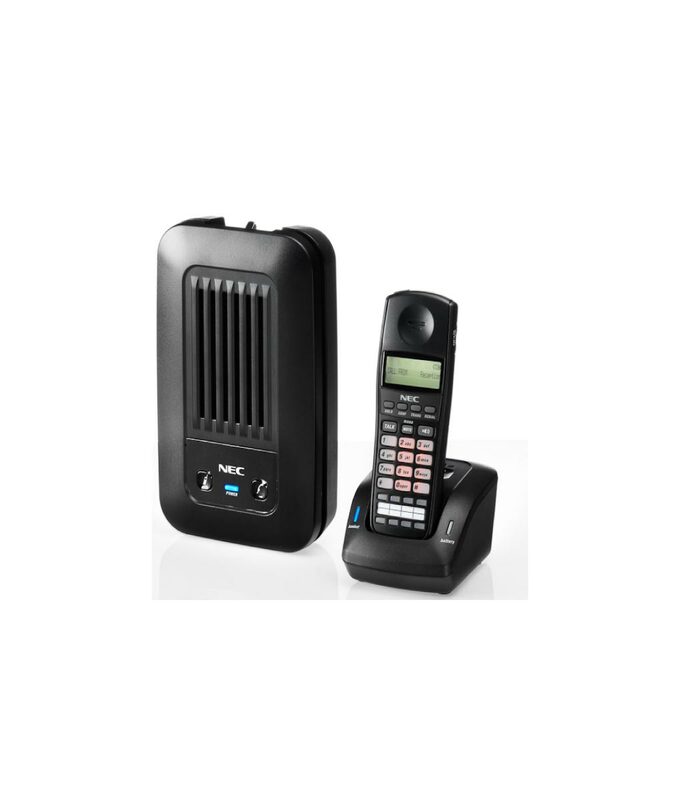 The NEC SL1100 DECT phone is a cordless phone with a 2 line LCD display and connects directly in to a digital port on the NEC SL1100. It has 8 function keys and busy lamp indication offering the same features as the function keys on the SL1100 digital phones and will only work on the SL1100 phone system. A total of 4 Fixed feature keys. 5 languages English, French, German, Italina and Spanish.